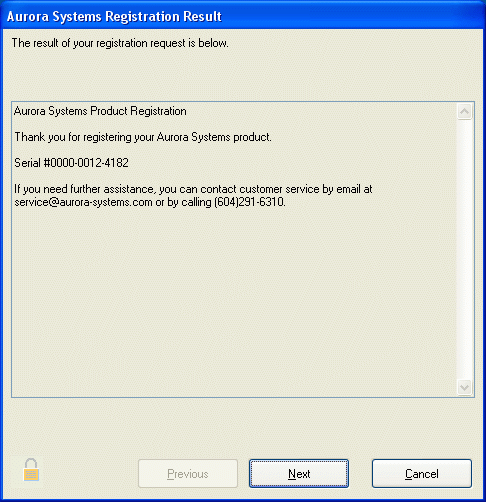 Registration of your Aurora Systems product provides access to features for registered users such as technical support, fixes and updates, new product notifications and more. Registration is entirely optional, however to gain access to support resources such as software updates, you need to enter a Technical Support Access Information Password. We hope you will complete the other fields so we can use it to provide better services. Complete the registration form, then if you are connected to the internet, press Next to send your information to Aurora Systems servers. After a few moments, the results of your registration will display. 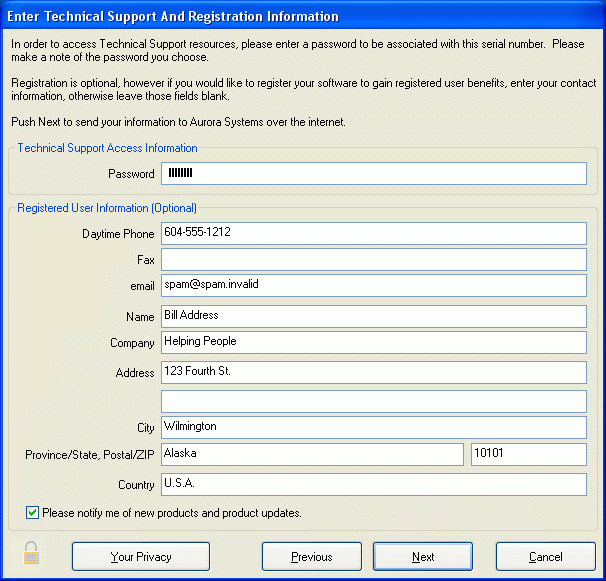 You can also register your software online at www.aurora-systems.com.